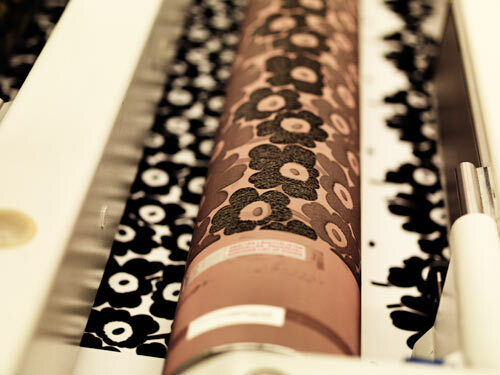 “I don’t know about you, but I’ve often wondered how Marimekko creates their vibrant fabrics. 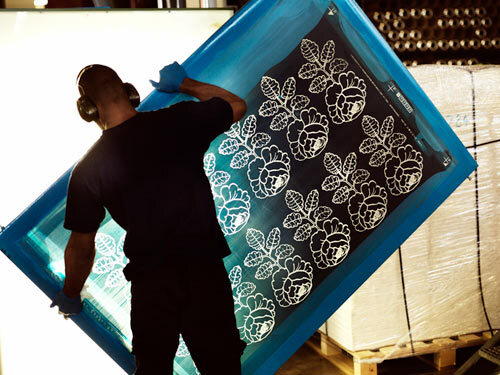 Since 1951, they’ve been making highly-recognizable and nostalgia-inducing patterns, which are printed at the Marimekko-house in Helsinki, Finland, the heart and soul of the company. In addition to the textile printing factory, the Marimekko-house also contains the headquarters with showrooms and two stores under the same roof. At Marimekko, designers are free to create and inject their own experiences and views of everyday life and inspiration into patterns. Each designer has their own method of translating their ideas and visions into sketches. Many paint or draw by hand, some work with a computer, while others use photographs, paper cuts or dried plants. 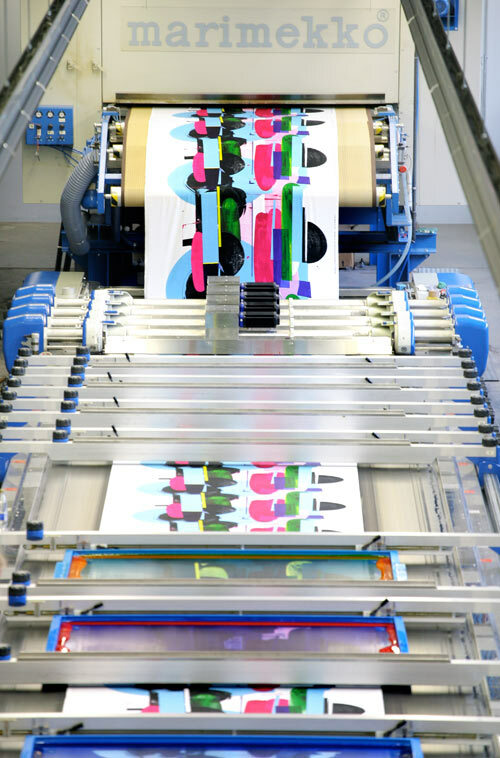 Marimekko’s in-house artwork studio transforms the designer’s original sketch and vision into a repeat pattern at the same time, the pattern’s amount of colors is also determined. There can be at most 12 different colors. 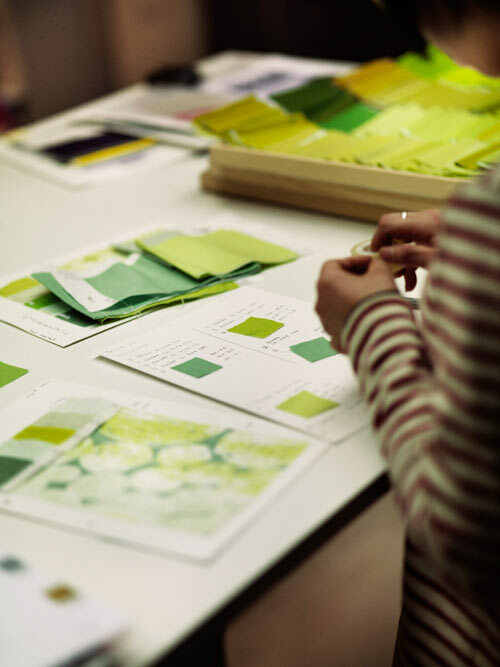 Together with the collection coordinator, the designer searches out the right colors and their combination for the pattern. After that, Marimekko’s in-house color kitchen prepares the right tones in line with the designer’s wish. 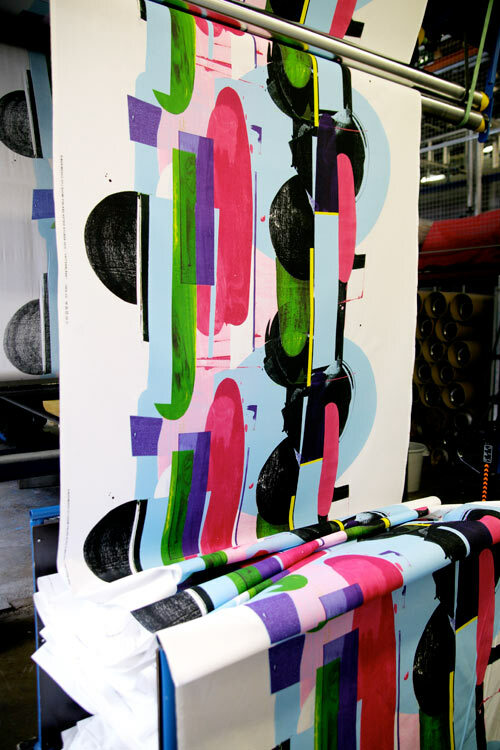 The printing screens are made based on the artwork studio’s color separation in the Marimekko factory’s own screen workshop. The final number of screens depends on the pattern’s complexity. All new patterns and new colorways of archive patterns are first printed on the sample printing table. Together with the designer, the first sample of the pattern will be approved or disapproved. 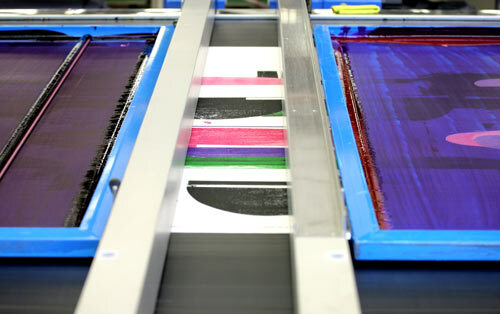 Marimekko uses two printing machines with two different techniques: rotary and flat screen printing. Both tables fit maximum of 12 screens. 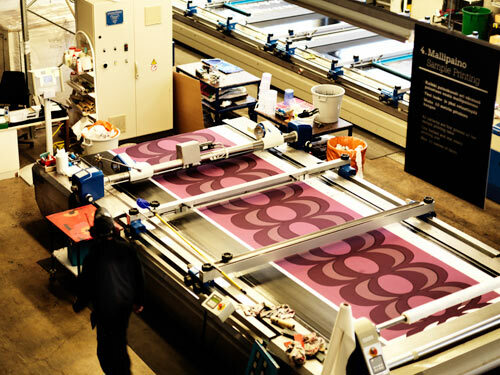 In 2011, Marimekko printed 1.5 million meters of fabric, and with the help of the new rotary printing machine – that was launched last year – Marimekko has tripled its textile printing factory’s output capacity. Colors of the pattern are fixed to the fiber with steam or heated air. Once the colors are fastened, the fabrics are washed off the auxiliaries and unfixed dye at 95°C (203°F). At home, you can wash the fabric at 60°C (140°F). 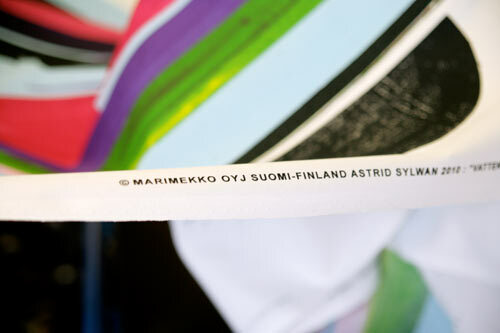 Marimekko printed fabrics are inspected by human eyes. The name of the designer, the year it was created, and the name of the design are always printed on the right side of the Marimekko fabric. 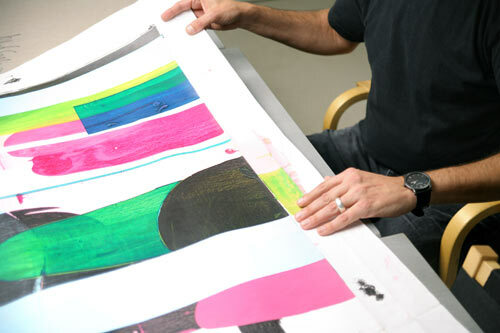 Once the fabrics are inspected, they will be sent out to the Marimekko stores around the world or turned into apparel, bags, cushions, tablecloths and other wonderful Marimekko products. This post was created in collaboration with Marimekko.